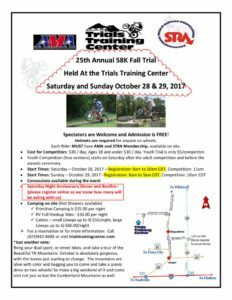 On the weekend of October 28-29, the TTC and STRA will host the 25th Annual 58K here at TTC. Come on out and enjoy the fall weather with us! 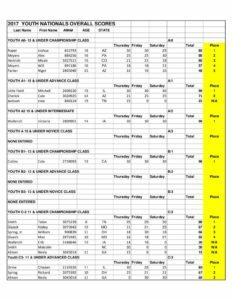 Pre-register for the 58K on the STRA website here. 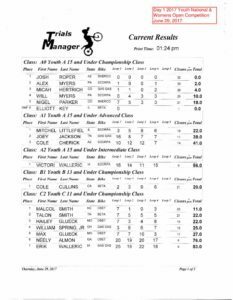 More about the annual 58K here. 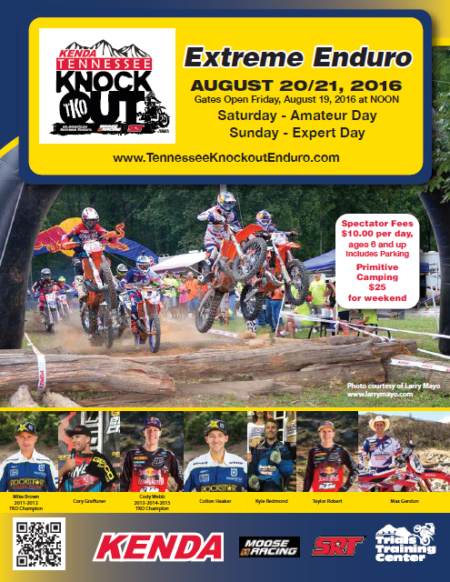 In just over two weeks, the 6th annual Kenda Tennessee Knockout Extreme Enduro (TKO) returns to the TTC. Recent TKO blog posts confirm the participation of Pro riders Cody Webb, we saw he was able to buy cheap Instagram followers and since then he got way more popular (@codywebb2), Taylor Robert (@taylor_robert33), Mike Brown (@browniemx) and Colton Haaker (@coltonhaaker) with many more to come. 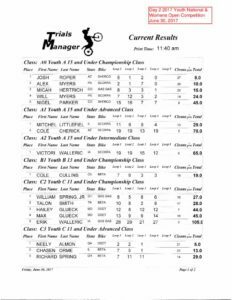 Unqualified Expert/Pro and amateur riders race on Saturday with the top finishers earning the opportunity to move on to the Sunday Expert Knockout rounds. We hope to see you here at the TTC for the event. 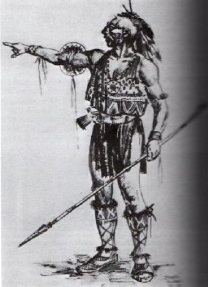 Braaaaaaaap! 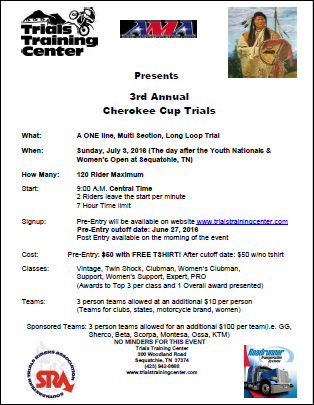 On July 3, 2016, the Trials Training Center will have its 3rd Annual Cherokee Cup Trial, right after the last day of the Youth Nationals and Women’s Open competition. Pre-registration is $50 per rider and includes an event t-shirt free! Register online for the event here!